We all have those things we did as a teen, you know, the beauty disasters that we wish we hadn’t done! 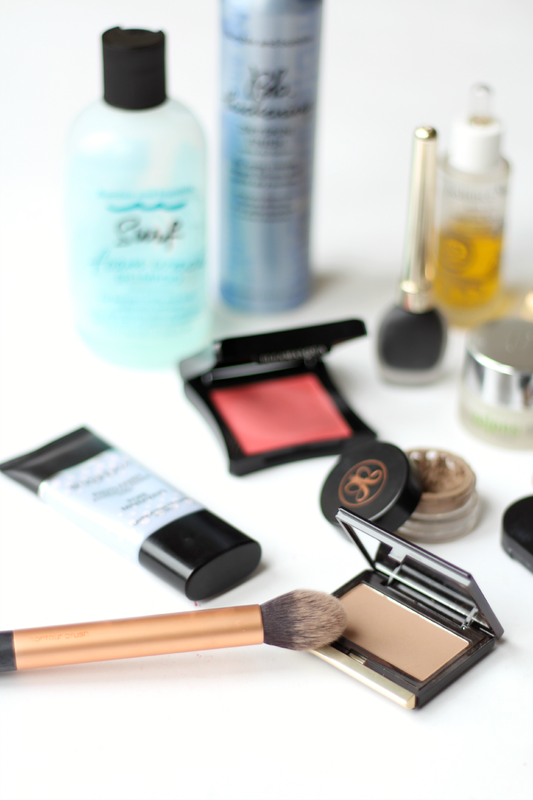 I’ve read a few posts like these over the years and they always make me laugh, so I thought I’d put together a list of things I’d love to tell my teenage self in the beauty department! One: Leave Your Eyebrows Alone | For the love of god, step away from the tweezers. Teens these days are lucky that full brows are on trend now, as thin brows were aaall the rage when I was a teen. I tackled the issue head on and plucked mine to oblivion, practically leaving just a single line of hair and about five in the middle. The shame! I’m glad I eventually got a grip, grew them back in and got them shaped properly after that. Two: Stop Touching Your Blemishes! | I had bad skin as a teen, not quite cystic acne, but I had a good face full of spots. I used to touch them constantly, always trying to ‘get rid of them’ without realising I was actually making the problem so much worse! I wish someone had stopped me and told me to be nice to my skin! My skin would have been 10x better and I wouldn’t still be dealing with the aftermath 10 years later. Three: Treat Your Skin Properly | Following on from the above, I wish I had of treated my skin with the right products and ingredients. I didn’t even used to moisturise as I thought it made my skin greasy! I was bought that three step program, which I thought would make it all better because hey, it’s targeted and expensive right? Wrong. It didn’t suit my skin at all and made it worse. Oh and don’t get me started on Simple skincare. Keep away, acne prone skin. Keep far, far away. Four: Find Haircare That Suits | Similarly to skincare, I wish I had of cared a bit more about my hair as a teen. I have fine hair, but it was always so limp and lifeless and looked rubbish when I was younger, simply because I used whatever products were in the shower. As my mum bought products for bleached hair, everything was far too nourishing and weighed my hair down. So, I wish someone had told me to put the conditioner down and find haircare that suits my fine locks! Five: Learn How To Apply Everything Properly | Obviously we all get absorbed into trends every once in a while and we probably all tried the shimmery white or baby blue shadows in the 90’s! It makes me cringe so bad… But, I honestly wish I had access to all the amazing YouTube tutorials and blog posts that are available today so I could have been taught how to apply my makeup. I wish I could have learned more about my face shape, what works best for my hooded eyes and the different products available to suit my skintype and colour. There’s so much information out there now and I’m oh so jealous of it all – teens, take advantage! What do you wish you could have told your teenage self?